“We want to grow desi crops and sell it on our own but sometimes due to problems like lack of water and price fluctuations it is not possible! In such a situation in order to continue farming it is best to branch out. I did it 10 years ago by producing seeds for Namdhari Seed Company,” shares Mr. Viraiah Sharanaiah Revanki, farmer from Methgal village, Koppal district, Karnataka. He is producing tomato, watermelon, European cucumber and chili seeds for the company. Additionally, on his 9 acre farm he grows seasonal vegetables namely brinjal, bitter gourd, tomato etc. “As we have limited water in our borewell (2-2.5 inches) we selected the crops that require less water such as sweet corn,” he adds. “In seeds, we grow export quality of tomatoes (oval shaped) in 100ftx80ft shade net from 1200-1500 saplings. 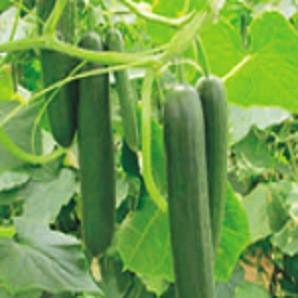 European cucumber seeds are developed from 1200 saplings in 100ftx80ft area. 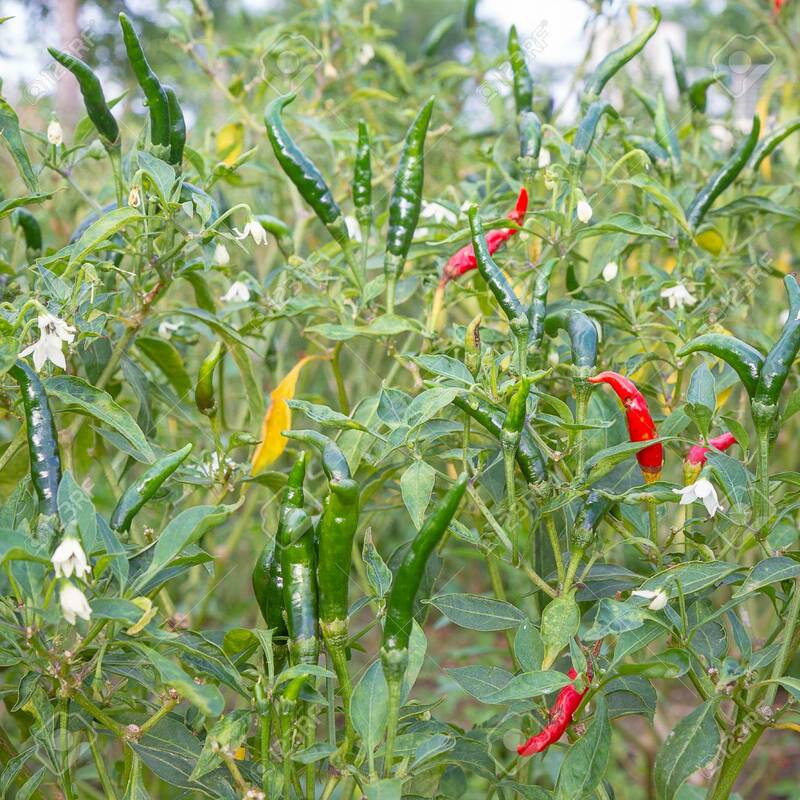 To produce chili seeds, 500 female and 250 male saplings are grown in 100ftx100ft,” he shares. First and foremost land is prepared to produce the seeds. Post tilling the land, 1tractor load cattle manure is added compulsorily and mixed with the soil. “Then we add 1bag each of DAP, complex and potash along with 5kg zinc, 5kg magnesium etc. The manure is put on the row too. We make small beds and put a drip to water the plants. We put 3ft mulching sheet on the bed. We water the bed for 2days to increase the moisture level. Then we dig a hole of 3inch and plant the saplings,” explains Mr. Viraiah. Mulching paper and saplings (25days old) are supplied by the company. Distance maintained is 3.5 ft row to row and 3ft plant to plant. Flowers of male plants are plucked in the evening and pollens (white in colour) are collected. “We sieve the pollens in a white cloth and collect the finest pollen grains. Next we pollinate the pollen grains in the female flower. It is a labour intensive task. With the help of foreceps the stamens having anther from female buds are removed to avoid self pollination leaving behind the stigma only. The pollens in the female flower would not have been developed until the flower blooms. After the flower blooms, the pollen powder is filled in a ring and put it in the female flower at 12noon. The flower will be having string as an identification mark that confirms pollination,” he elaborates the process. The pollination procedure takes 1month time. As directed by the company pesticides are sprayed on the vegetable plants to avoid viral attack, most commonly occurring attack is “Muttu Roga’. After fruiting is complete in vegetable plants, the fruits are plucked and allowed to dry for a day in the shade to have uniform ripening. “The fruits (vegetables) are then crushed with the machine in the tank (3ft depth) to collect the juice along with seeds on plastic sheet at the bottom of the tank. Usually crushing is done in night so that juice gets easily fermented till morning. The liquid is sieved in the morning to collect pulp and seeds while juice is drained. In water filled barrel pulp and seeds are added so that seeds settle down and pulp remains on the top surface. Pulp and water is removed while seeds are spread on cloth. It is then washed with acid (sent by the company) to avoid pest attack. Lastly acid washed seeds are sun-dried on a cloth, packed and sent to the company,” Mr. Viraiah elaborates the entire method of seed production. The company has many crop varieties and they distribute different seeds to the farmers to avoid mixing of seeds. “They give us training on important aspects of seed production such as to avoid self-pollination we remove the bloomed flowers, after crossing for 7days we do not allow more than 10-15fruits to set in one plant, we remove male plants after crossing the female plants and so on. Company officials visit the farm for examining pollinated flowers then after we proceed with next step after their approval on pollination,” he informs. 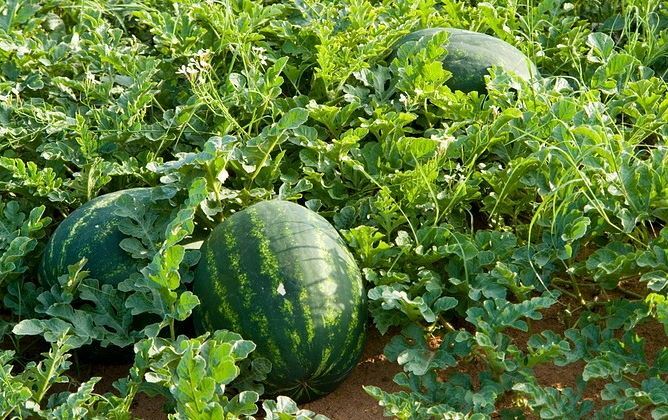 Watermelon is sown in April and crossed after 2 months. It takes 1-1.5 months to fruit and is harvested in July. Tomato is sown in August and is harvested by October-November while European cucumber sown in mid May and August and harvested after three months. Chili is sown by the end of May and harvested in August last week. Once again chili is sown in June too. 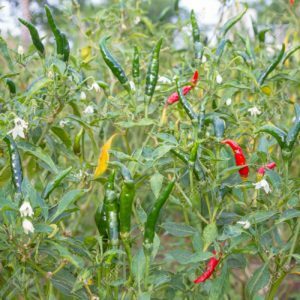 On an average chili seeds 60-70kg, tomato in shade net 10-15kg, tomato in open field 30-40kg, watermelon 80kg – 1quintal and cucumber 25-30kg is the annual seed production at the farm. Speaking about revenues earned from seeds production, Mr. Viraiah says, “The company pays Rs. 4500-5000/kg for chili seeds. 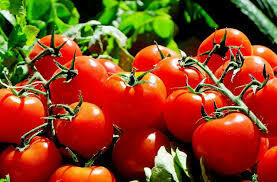 Tomato (oval) price ranges from 10000-10500/kg, tomato grown in open land Rs. 4500-5000/kg, watermelon at Rs. 1000-1200/kg and cucumber at Rs. 2500-3000/kg. Vegetables produced in his own farm are sold in local market namely Koppal and Hospet. The selling price is fixed as per market price. In time to come Mr. Viraiah plans to expand his farm operations.